Click here to watch a video from Ian Payne in Coleambally discussing why he planted the short season rice variety Viand to save water and achieved a yield of 10.1t/ha. 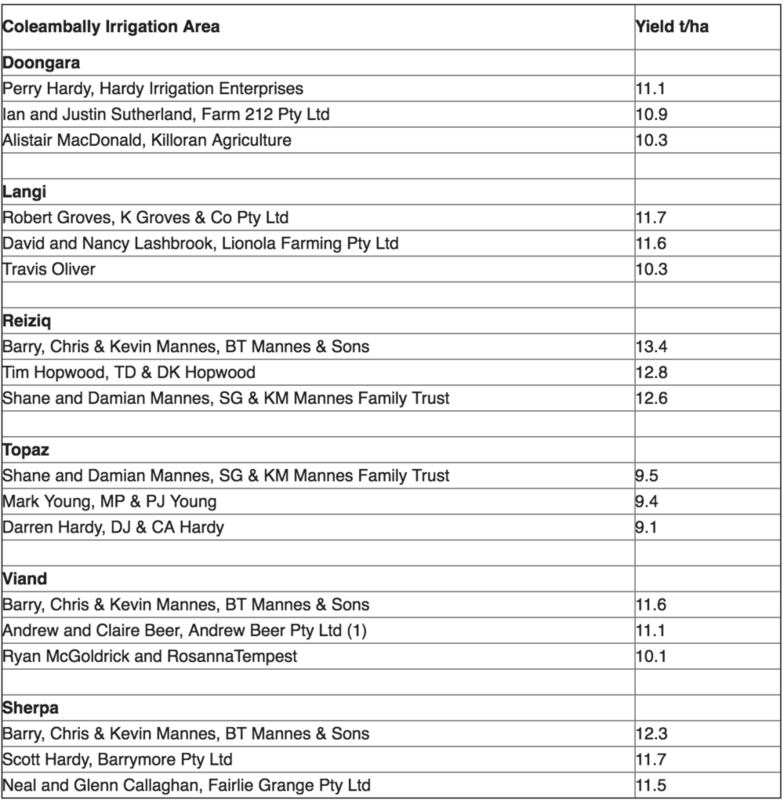 Congratulations to the following growers who achieved the highest yields last season. The highest yield in the tables is based on the average yield across the business for that variety and all have been validated by the SunRice Grower Services Team and the MapRice database. 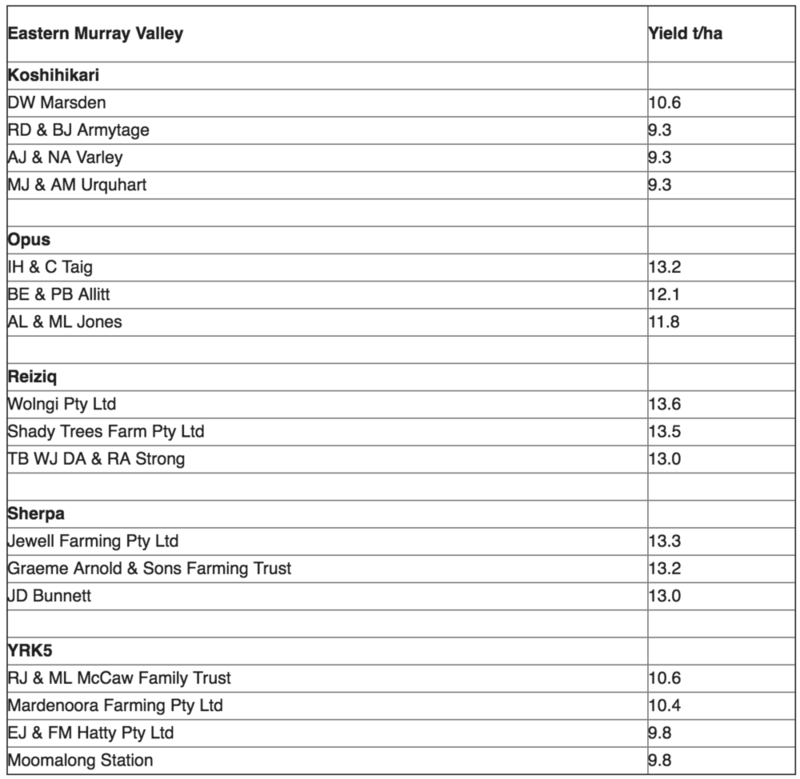 Congratulations also to those growers who may have achieved higher yields on individual paddocks. The current climate for farmers in the Riverina is unprecedented in regards to the calendar year rainfall received. Commodity prices are well above average however, the means to capture that opportunity is limited by the climate and consequently water allocations. Land and water values have risen significantly in recent times and this may have a bearing on the decisions you make about managing the future. The question remains - how do we manage the short-term future with these challenges. Remember that each business is different and each business owner is different in terms of priorities, circumstances and attitude to risk - plans made for one business may not suit others. Rice grain quality is an important aspect of rice production and has the potential to significantly influence growers’ profit margins. Your Rice R&D Levy, funds research by Rachael Wood, NSW DPI, in her PhD studies at CSU. She is assessing the effect of farm management practices on rice grain quality. We will be updating you regularly on this research. The crops with a higher nitrogen rate (180kg/ha) had a higher whole grain yield. The whole grain yield of the drill sown crops was higher than the aerial sown crops. The drill sown crops with delayed permanent water had a higher whole grain yield than the conventionally irrigated drill sown crops. Drill and DPW crops use nitrogen more efficiently. Results from this work will be used to update the Variety Guide. For the full article and other articles in the Rice R&D Update about current research funded through your Rice R&D levy click here. Rice growers using groundwater on their crops need to plan ahead to minimise the negative impacts of water salinity, because groundwater has a higher salt content than channel water. Click here to read an article written by John Fowler, Senior Lands Services Officer - Mixed Farming, Murray Local Land Services, for Farm Talk in 2015. It is still relevant for managing saline ground water now. 70 rice varieties screened in a R&D Levy funded research project have been found to have a greater cold tolerance than Sherpa. Research by Jacqui Mitchell and her team from the University of Queensland and NSW Department of Primary Industries assessed the cold tolerance of many rice varieties from around the world. 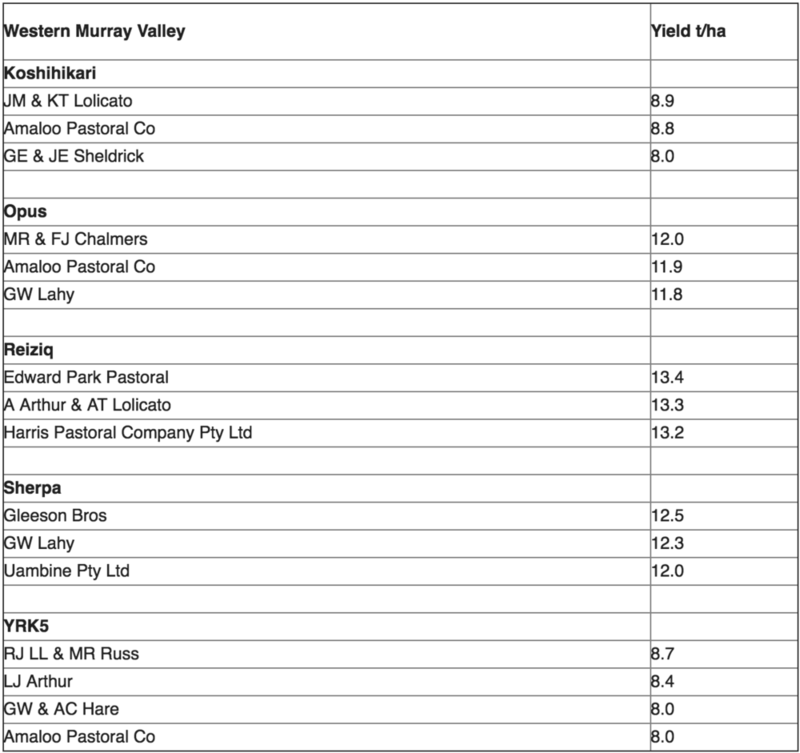 The best of these varieties have been incorporated into the current rice breeding program in order to produce varieties that are agronomically viable in Australia and meet market requirements. 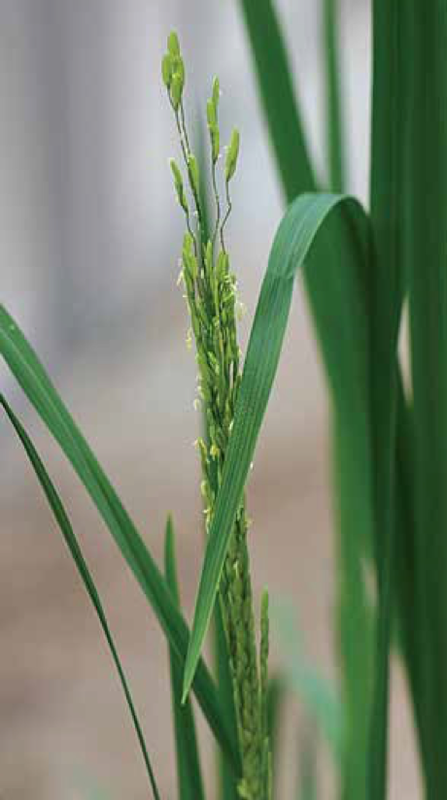 Improving our understanding of cold tolerance is important to breeding varieties that have consistently high yields in our climate and allow us to use less water on rice crops. Further to this work, the research project has identified what causes cold tolerance, both in the plant genetics and environmental factors. 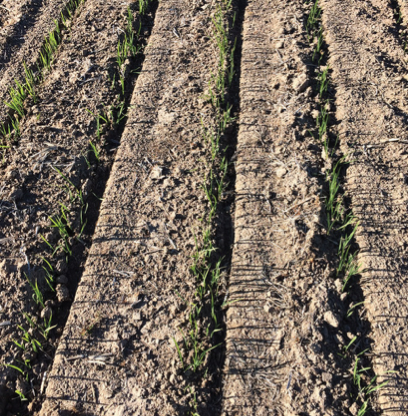 The project has made it easier to identify the parts of genes that cause cold tolerance in new varieties, and this will speed up the breeding process for new varieties for the Australian rice industry. Read the article on this work and others here. Les Gillespie has been drill sowing rice into moisture for four years as a means of saving water and controlling aquatic weeds. Reduced lodging and cold induced sterility during microspore are also benefits of drill sowing as Les finds the plants are shorter. He prepares the ground in autumn and controls weeds prior to planting. Planting must begin early, as the crop maturity is delayed with the permanent water. Read more about how Les went about sowing Koshi into moisture here. Growers said higher yields and improved water efficiency must both be the aim of further extension and research. 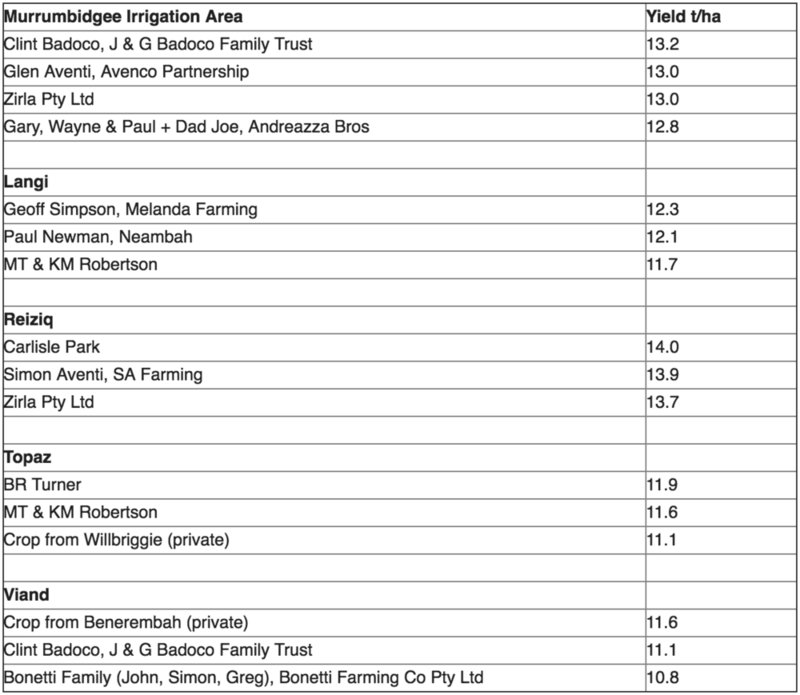 Fertiliser management, water management and sowing at the recommended time were the main management practices growers used to maximise yield. Changing the sowing method, improving paddock layouts/levelling and growing short season varieties were practices employed to reduce rice crop water use. The cost of improving farm infrastructure make it difficult to adopt water saving practices as well as the water allocation uncertainty which influences planning & decisions to invest. Thank you to those who took part in the survey of over 100 growers across all regions. We wanted to understand the practices growers are using to improve water use productivity in rice growing. The results provided useful information for researchers and extension who are planning future work. Grower confidentiality was maintained throughout the survey process with the results amalgamated within regions and no names were attached. This program targets rice growers and industry representatives who have experience and ambitions to take on a directorship position in the future.